VMware Cloud on Amazon Web Services (AWS) has been formally made available in Australia and New Zealand (A/NZ), one year after its launch in the US. Key launch partners on both sides of the Tasman include Outcomex, Data#3, Datacom, Fujitsu, Telstra, Revera, IBM, Accenture, Computer Concepts, CSA, Dimension Data, Rackspace, Parallo and Perfekt. The roll-out follows a call out from VMware in April, seeking partners to trial the platform, which is now being launched with a host of new features along with multi-currency pricing, allowing partners and customers to transact in Australian dollars. The service is sold, operated and supported by VMware and its partners as an on-demand, elastically-scalable cloud service, designed to remove the barriers to cloud migration and cloud portability. Specifically, this is through allowing customers to run production applications across vSphere-based hybrid cloud environments, with optimised access to AWS services and disaster protection. According to Alister Dias - managing director of A/NZ at VMware - the vendor has been in discussions with AWS locally for almost two years, during a time in which VMware has strengthened capabilities across software defined data centre, cloud management, multi-cloud strategy and digital workspace portfolios. 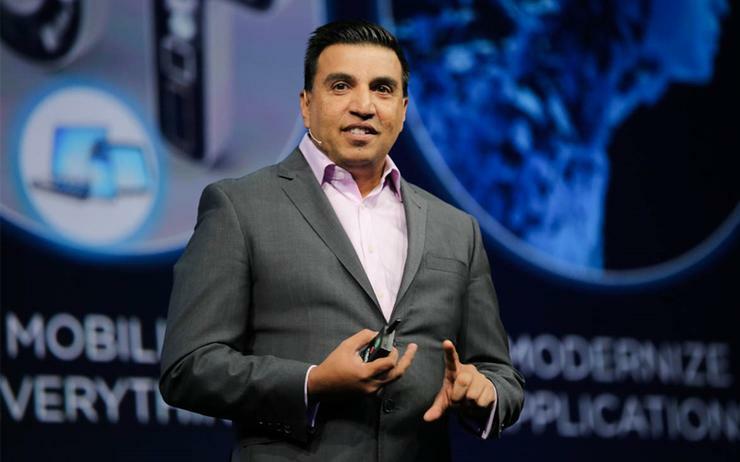 "Local customers will find it extremely easy to migrate to VMware Cloud on AWS, as it provides enterprises with the fastest and most cost-effective way to migrate their mission-critical applications, or even entire data centres, to the cloud," Dias said. Dias added that VMware Cloud on AWS has opened up a "plethora of opportunities" for partners in providing independent advisory services to customers, backed up by increased demand for integration and managed services. "What they want to provide for customers is a consistent cloud infrastructure, with a consistent experience, operation and providing a service,” he added. Meanwhile, AWS A/NZ managing director, Paul Migliorini, said the tech giant had deployed joint teams across VMware and AWS to work "cohesively" with customers on both sides. There are two avenues available for partners to get involved - through selling the service to the customer, supported by VMware, and also through the managed services program with service providers that can effectively wholesale VMware’s capacity, as part of their broader cloud offering. In order for partners to get involved, there are a series of accreditations and specialisations required for VMware Cloud on AWS. “We’re trialling a different approach for our partner engagement and we’re shifting the focus away from the upfront sale, to the ongoing support of the platform," added Dan McLean, senior director of cloud services A/NZ at VMware. "We’re looking for partners to invest in developing their capabilities to ensure a good experience for customers. "What we’re hearing from partners in the market, as they transition their businesses into annuity revenue streams on an ongoing basis, is to move the financial rewards from the upfront sale into the ongoing engagement with the customer." According to Revera head of innovation, Keith Archibald, this represents a "big opportunity" for businesses seeking to develop next-generation applications and interaction with their customers. "This is a great way for them to help move that infrastructure more quickly to a point where they can focus on building new value-added services at the application and data layer,” Archibald explained. "Customers usually have a huge investment in existing applications and they need something that can help bridge the connection between running the existing applications, but also bolting on those new cloud-first interactions. This really helps with be complexity-free and low risk." Financial services provider, ME Bank, took part in the early access program and is currently exploring the offering and how it can take advantage of VMware Cloud on AWS within its current environment. "We’ve been an existing VMware customer for a number of years, and most of our workloads are virtualised on-premises and we’re looking at how we can potentially use this,” ME Bank general manager of strategy and architecture, Sunny Avdihodzic, said. "Being a digital bank, technology fundamentally plays a big role in enabling our vision. We’re using technology as a competitive differentiator to support customer-centric approach and building customer experiences." Furthermore, the availability of VMware Cloud on AWS locally has also benefited customers exploring International expansion plans. As explained by Mark Lohmeyer - senior vice president for cloud platforms and general manager for VMware Cloud - if a US-based customer wanted to expand their into reach Asia Pacific, they can easily spin up VMware Cloud on AWS in any of the supported regions, without having to change how any of their applications are architected and developed. "It requires no application re-platforming or reworking and the workloads can run effectively, exactly as they run on their own VMware infrastructure in their own on-premises environment, but now running on VMware Cloud on AWS,” he said. "It’s a compelling use case that many customers are taking advantage of for this purpose." The launch comes as VMware’s second-quarter profit and revenue beat analysts estimates, helped by strong demand for its cloud-based software services. The vendor's services revenue, which accounts for majority of its total revenue, rose about 11 per cent to US$1.27 billion in the second quarter, in line with estimates.